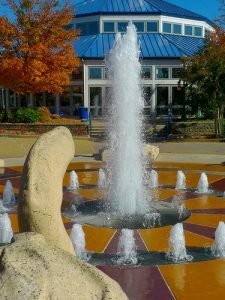 When my daughters were in kindergarten and elementary school, we would visit The Creative Discovery Museum in our hometown of Chattanooga, Tennessee, several times a year. I’m pretty sure I enjoyed these excursions every bit as much as they did. This children’s museum offered a rich mixture of interactive exhibits for visitors to explore with their senses of touch, smell, hearing, sight, and even on occasion taste. My youngest daughter was particularly fond of the dinosaur dig. 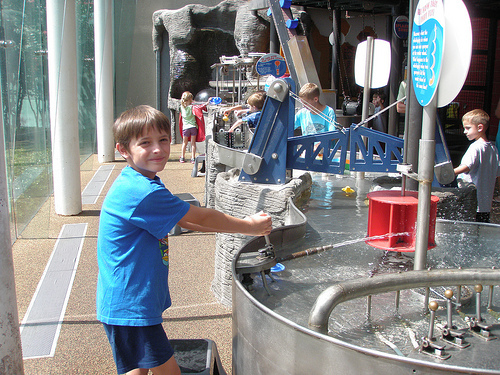 After being able to involve the senses in learning, visitors to the museum left with knowledge, memories, and joy. Learning was a delight, one punctuated by peals of laughter and giddy giggles, rapt expressions of awe and wonder, and smiles and nods of understanding. To see children’s (and adults’) minds so engaged in the learning process was worth every penny of the admission fee. Revisiting the same exhibits several times felt fresh and new, thanks to the unique nature of shared experience and sensory encounter. I miss those days, but I have not left them behind entirely. 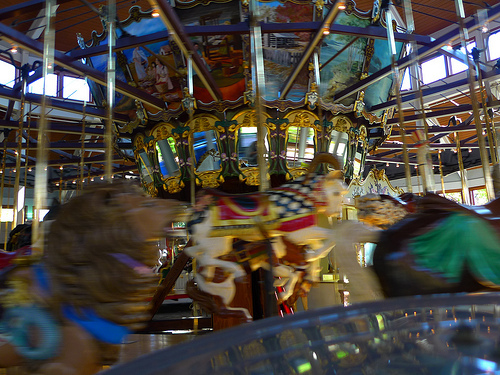 I still ride carousels and play in fountains, gasp at fireworks, body surf at the beach, and swing as high as I can go. I refuse to hang out on the sidelines of life when there is so much to taste, see, and experience. The lessons this week make me wonder why we so often relegate faith to life’s sidelines, treating it like a visit to a stuffy antique store or art museum rather than a multi-sensory life experience. Too often our church buildings and worship times are pretentious and uptight, rather than a raucous and joyful. How often do you come to communion, receive the bread, and taste Jesus with childlike wonder? Do you smell the wine as well as taste it? Do you find yourself drawn to image and light and pattern? What would other worshipers think if you dipped both hands in the baptismal font and splashed your face to remember your baptism? Do you clasp hands with delight and shared joy during the passing of the peace, or are you too worried about germs and getting on with the service? Do you mouth the words of the hymns for fear of sounding off-key, or do you sing with the gusto and abandon of a five year old? Read this week’s lessons carefully and see for yourself how visual, auditory, tactile, and participatory they really are. Elijah eats and drinks to gain amazing strength for his journey. The psalmist tells us to taste and see that God is good. In the epistle to the believers at Ephesus, Paul urges them to be imitators of God–childlike and loving–practicing the marks of discipleship as modeled by Christ himself. In John’s gospel we learn that Jesus is the bread of life, and when we consume the bread and wine in the Eucharist, we share in Christ’s gift of grace that will continue into eternity. This is heady stuff, not stuffy facts. 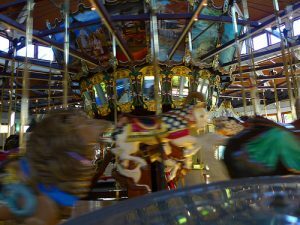 We are part of something truly amazing, a carousel ride that is out of this world, an interactive fountain of baptismal grace, and a hope that will not cease. Maybe we can take a clue from children’s museums when it comes to sharing the faith. Let’s make it sensory, participatory and interactive. Discipleship should be fun as well as challenging. We have good news to tell and share that is wilder, woollier, and more wonderful than any museum experience. Yep, it’s the real deal for real life for all eternity. It doesn’t get much cooler than that. This Sunday–and every day of the week–let us taste and see that God is good. Blessings on your teaching and preaching. Photos by Charles Atkeison and dmott9 used under Creative Commons License. Thanks!